Narrow margins but at the end of the day, the top seeds suffered defeat in their concluding group stage fixture on the opening day of play, Wednesday 10th May, at the SET 2017 Thailand Junior and Cadet Open in Bangkok. After recording a three matches to nil win over the Malaysian combination of Chin Wen Jie, Choong Javen and Sam Yuk Siong; the Chinese Taipei ‘A’ Team trio of Feng Yi-Hsin, Li Hsin-Yang and Tai Ming-Wei experienced a full distance five match defeat at the hands of Japan’s Riyu Hiruta, Fumiya Igarashi and Seiya Numamura. Architect of the success was Fumiya Igarashi; he accounted for Feng Yi-Hsin in the opening match of the engagement (12-10, 11-7, 4-11, 14-12), before in the fourth contest overcoming Li Hsin-Wang (11-8, 11-8, 11-4). Matters level, Seiya Numamura defeated Feng Yi-Hsin but there were some tense moments for Japan, the 17 year old had to recover from a two games to one deficit to seal the victory (5-11, 11-4, 6-11, 11-5, 11-7). The wins for Chinese Taipei were recorded in the second and third matches in the fixture when Li Hsin-Yang beat Seiya Numamura (11-3, 7-11, 11-4, 11-7), to be followed by Tai Ming-Wei, who accounted for Ryu Hiruta (11-3, 7-11, 11-4, 11-7). Defeat for Chinese Taipei but success by three matches to nil in their concluding group phase fixture in opposition to Malaysia sealed second place and thus a passport to the main draw. Runners up spot for Chinese Taipei, it was almost the same for Thailand ‘A’, the no.2 seeds. They were extended the full five match distance India ‘B’. Mainstay of the Thai victory was Yanapong Panagitgun; he beat both Snehit Suravajjula (10-12, 9-11, 13-11, 11-7, 11-5) and in the concluding match in the fixture Jeet Chandra (9-11, 11-9, 11-6, 11-9). The one further success for Thailand was gained by Supakron Pankhaoyoy; in the third match of the engagement, he defeated Payas Jain (9-11, 11-2, 11-8, 14-12). Notably, Pattaratorn Passara who had impressed at the Seamaster 2017 ITTF Asian Championships in Wuxi, one month ago, was beaten by both Jeet Chandra (8-11, 11-8, 11-5, 6-11, 11-8) and by Snehit Suravajjula (15-13, 8-11, 11-6, 6-11, 13-11). Two narrow defeats, it was just one of those days for the 17 year old. India ‘B’ duly finished a second place in the group and thus advanced to the main draw. An upset and a close call, in the two remaining groups in the first stage of the Junior Boys’ Singles event, life was more comfortable for the leading teams. India ‘A’, the no.3 seeds with Manush Utpalbhai Shah, Manav Vikash Thakkar and Parth Virmani on duty topped their group without due alarm, as did the Singapore formation of Beh Kun Ting, Lucas Tan and Gerald Yu Zong Jun. 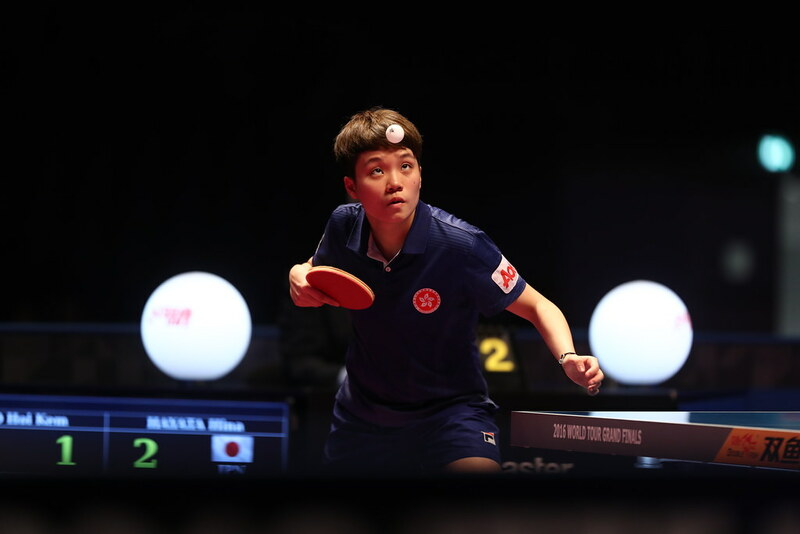 Thailand ‘B’ represented by Veerapat Puthikungasern, Sama Boonyawadee and Thirawat Pimrat alongside Hong Kong’s Chan Baldwin Ho Wah, Cheng Pak Hei and Tsiang Tsz Tsun finished in respective second places. At the quarter-final stage, Japan faces India ‘B’, Hong Kong confronts India ‘A’; in the opposite half of the draw, Singapore meets Thailand ‘B’, Chinese Taipei ‘A’ opposes Thailand ‘A’. Proceedings in the Junior Boys’ Team event conclude on Thursday 11th May.